Microsoft today announced that Windows 10 users can enjoy one week of Solitaire Collection Premium Edition for free. The Premium Edition of this game include no advertisements or commercials, a wild card or extra deal in each game of TriPeaks and Pyramid, and double coins in Daily Challenges. Daily Challenges are a set of 5 guaranteed-solvable challenges every day – one in each of the Microsoft Solitaire Collection game modes that range in difficulty from Easy to Expert. And with Premium Edition, you get double coins every time you complete a Challenge which will earn you that Bronze, Silver, Gold, or Diamond badge much quicker! To enjoy your free week of Premium Edition begins, you have to just sign in to Microsoft Solitaire Collection on Windows 10 with your Microsoft account. 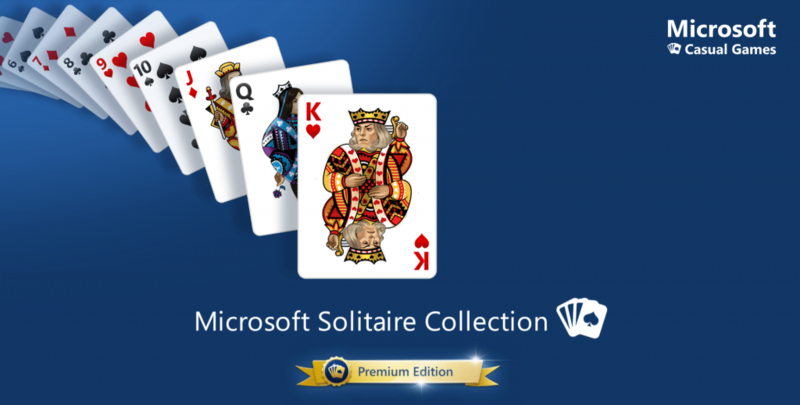 Download Solitaire Collection Premium Edition here from Windows Store.